Honor Roll Member – Bingman, Teresa Ann (Caine) « Perry High School Alumni Association, Inc.
Teresa A. Bingman, a native of Perry, Oklahoma, Perry High School (PHS) Class of 1981, lives in Okemos, Michigan, a suburb of Lansing, the state capital. She is the daughter of the Late Leo and Ethel Mae Caine. Her siblings, who are all PHS graduates, include: Bob Caine (Houston, TX), Bertha Caine Robinson (Oklahoma City), Dr. Ron Caine (Broken Arrow, OK), Tammy Caine (Oklahoma City), The Late Christine Caine May; and Roger Caine (Oklahoma City). Teresa has been married to Lloyd G. Bingman, Ph.D. since 1988 and their grown children are Adam and Victoria Bingman. Teresa is licensed to practice law in Oklahoma (since 1988) and in Michigan (since 1997), having earned a Juris Doctorate Degree from the University of Oklahoma in 1988 and a Bachelor of Science Degree in Business Administration from Oklahoma State University in 1985. She is the Founder and Managing Attorney for Law Offices of Teresa A. Bingman, PLLC, located in Okemos, Michigan, a suburb of Michigan’s capital city of Lansing. Before establishing her firm, Teresa was a founding partner of RSB Law Firm, which was based in Farmington Hills, Michigan, a suburb of Detroit. A seasoned attorney and consultant, with almost 30 years of legal, policy and regulatory experience, Teresa has positioned her firm to specialize in civil rights, family law, business and employment law, governmental affairs, and public interest law. Over the years, she has launched several companies and has remained involved in a number of community-based, statewide and national organizations. In January 2017, Law Offices of Teresa A. Bingman partnered with the Flint Water Class Action Legal Team, which consists of a group of accomplished attorneys representing numerous law firms (large and small), that have taken legal action on behalf of Flint, Michigan water users – adults, children, business owners, homeowners, workers, students and other victims. Working collaboratively, the group of law firms continue to service Flint clients’ legal needs through class action litigation, having filed claims involving environmental and toxic tort law, constitutional and civil rights, and other legal claims to address the aftermath of what has become known as the Flint Water Crisis. In 2007, Teresa, along with her husband, Dr. Lloyd Bingman, founded The Bingman Group, LLC, (TBG) a community and economic development consulting firm. In 2011, The Bingman Group was retained to provide consulting services for Western Michigan University (WMU). It was out of this relationship that Lloyd and Teresa became founding members of WMU’s University-Community Empowerment Center, a research-focused policy, leadership training, and advocacy center for community empowerment and poverty reduction, a university-wide center that functions on the campus of WMU in Kalamazoo, Michigan. The center has developed partnerships with numerous local, state and national organizations to carry out its work. Along with their business partner and former NFL Great, Todd (T.J. Duckett), since 2011, Lloyd and Teresa have launched several companies, including The Black Success Network, LLC and Career Training Camp, LLC. Before becoming an entrepreneur, Teresa served as Assistant Attorney General under Michigan Attorney General Jennifer M. Granholm from 1999-2002, where she served in the Casino Control Division with responsibility of developing policies and procedures and regulating the newly organized Detroit casinos. Later, she moved to the Criminal Division, where she was responsible for prosecuting various public corruption and corporate crimes and was later promoted to the Executive Division of the Office of Attorney General where she was a lobbyist, focusing primarily on policy issues of impact to Michgan’s urban residents. In December 2002, Teresa was appointed to serve as Deputy Legal Counsel for the Governor of the State of Michigan, Jennifer M. Granholm, and in 2005, she was promoted to serve as a Cabinet member in the role of Cabinet Secretary and Deputy Chief of Staff for Policy and Strategic Initiatives. In the Governor’ office, Teresa also functioned as the Governor’s criminal justice advisor, handling pardons, commutations, and extraditions. Among various roles in which she served she chaired the committee to establish and launch the Prisoner ReEntry Program, which was established to reduce offender recidivism and ease reintegration into the community through state and local collaboration. Teresa also chaired the Jail and Prison Overcrowding Task Force, the composition of which was unprecedented, having convened a broad range of key Michigan criminal justice system stakeholders including judges, attorneys, law enforcement leaders, prosecutors and other criminal justice stakeholders who crafted solutions for effective and efficient utilization of jail and prison resources and mental health services. When serving the Governor, Teresa was also lead executive office staff for emergency management and homeland security activities and various other special projects, including the Detroit Medical Center Oversight Committee (hospital “turnaround” project), and the committee to establish the Detroit-Wayne County Health Authority. From 1994-1999, Mrs. Bingman managed UAW-GM Legal Services Plan offices in Oklahoma, and later, in Flint, Michigan, and from 1988-1994, she was an Assistant District Attorney in Cleveland County, Oklahoma and later, General Counsel for the Oklahoma State Bureau of Narcotics and Dangerous Drugs Control. 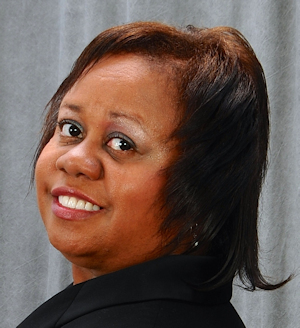 Teresa is a member of Union Missionary Baptist Church in Lansing and is active with the State Bar of Michigan. She is also a member of the Lansing Alumnae Chapter of Delta Sigma Theta Sorority, Inc., having served on the sorority’s National Social Action Commission. She is active with an international service organization, The Links, Incorporated, where she has served as President of the Lansing/East Lansing Chapter and has also served on Area and National committees. Mrs. Bingman served on the Michigan State University College of Law Board of Trustees (2006-10) and is a graduate of the Michigan Political Leadership Program. In 2008, Mrs. Bingman was invited to serve the Health Care task force for then-Senator Barack Obama as a national advisor to his presidential election campaign.